Our anniversary sprint prize drawing will be held on Sunday evening, October 22, at 8:00 EDT (2400Z UTC). As we have done in the past, our thirteenth anniversary sprint prize drawing will be held in two tiers. In the first tier we will give away our top three prizes, and in the second tier, prizes 4 through 10 will be awarded. 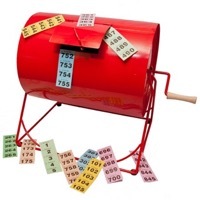 134 NAQCC members have met the elligibility requirements given above and of these 34 have also met the year-long participation requirement and are eligible for the first-tier prize drawing. 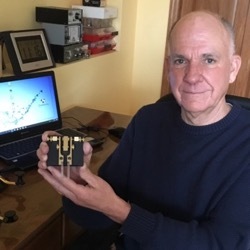 "The UPS driver was among the Halloween trick and treaters when he delivered a Vibroplex Code Warrior JR key last evening. 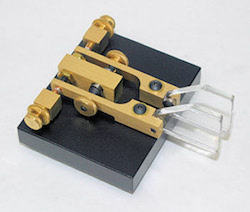 This will be a great key for portable operations and daily use. I also will be able to convert it into a side swiper (cootie) key with a wire jumper when desired. Thanks to all the NAQCC volunteers who organize the great events for the club. 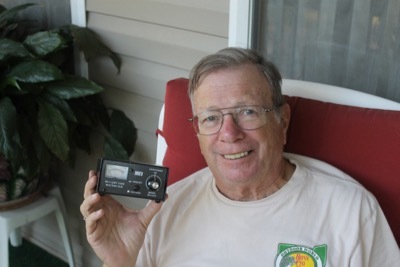 It is very enjoyable to work the sprits each month and meet other hams who have an interest in QRP operation." 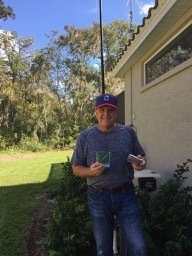 "The mail carrier delivered the HB-1B today. It’s a nice little rig. I look forward to using it frequently on outings." 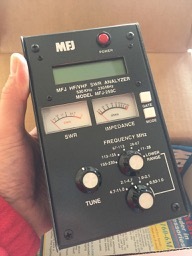 "Many, many thanks to the NAQCC and MFJ for the gift of the MFJ-259C antenna analyzer!! Not only is it a great product that I've seen used by my friends, but winning it is so timely for me. 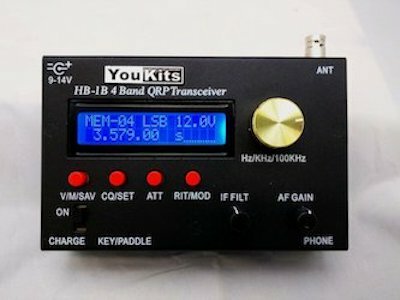 I've just moved to a new QTH and am in the middle of multiple antenna projects, including antenna options for portable operation. This is a great addition to my modest station." 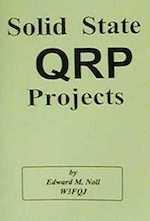 Our 10th place prize is the book "Solid State QRP Projects" by Ed Noll, W3FQJ. 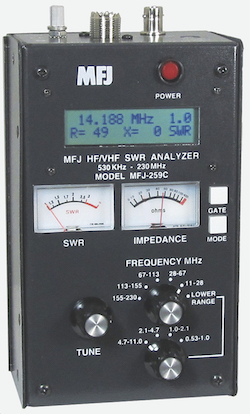 Our 9th place prize is an MFJ 107B digital 24-hour clock. 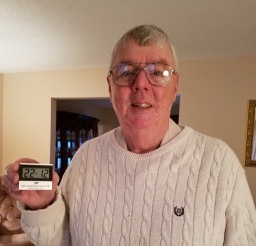 "I can make good use of this clock when I travel to Arizona for the Winter. 73s and Thanks for the gift." "The $25 gift certificate from MFJ arrived this week – thank you! I look forward to deciding how to best use this prize… and it will definitely be put to good use. Thanks to everyone who makes the NAQCC such a great club!" "Thank You to NAQCC and MFJ. I will definitely make good use of it." "Thank you so much for this nice surprise. 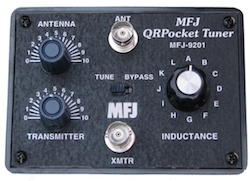 I am an avid kit builder and look forward to pairing this MFJ-9340K with the Inverted Ell on the MFJ 1910 Telescopic Mast shown behind me in the attached photo. 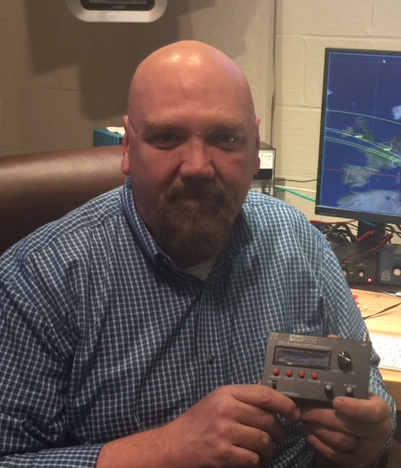 Please pass along my sincere appreciation to Martin and the folks at MFJ Enterprises for their wonderful support of amateur radio and NAQCC."